On 1st of August 2018, womxn (both cisgender and transgender womxn) and gender non-conforming people (GNC) will deliver this memorandum to the Government of South Africa. We, the women of this country are aware that gender based violence against women, non-conforming women and intersectional women has reached levels that are unacceptable and cause untold harm. 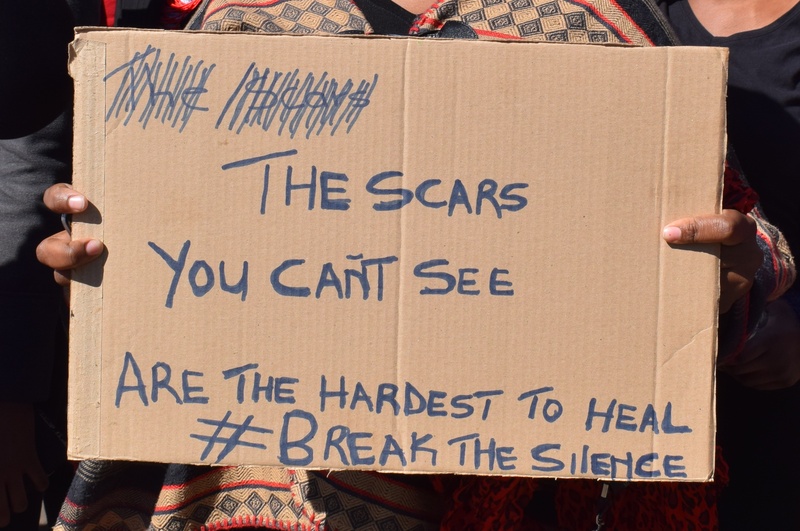 We are also aware of the complex multi layered factors that have resulted in South Africa being counted amongst the highest ranking countries with unprecedented levels of gender based violence against womxn (GBVAW). We acknowledge that there have been numerous protests and activities undertaken by many Non-governmental organisations and other interest groups in our society fighting this scourge. It is evident to us that without a Total integrated action by all relevant segments of our society as well as political will, nothing will change to eliminate this scourge. That is why as women , we have been moved to rise, march and protest to demand an end to gender based violence against womxn today. This document sets out our list of demands to the state. It’s an initial set of twenty four demands that represent each year that the state has failed to ensure our constitutionally entrenched right to be free from all forms of violence since the establishment of our constitutional democracy. We believe that an integrated approach to fight against the GBVAW scourge, where different arms of government work together, has the ability to ensure better protection for women. We understand that different arms of government have different powers and functions, it is not the intention of our memorandum to comprehensively set out which entity must do what. Our aim is to demand that the state must do everything within its powers, to enable us to realise our right to be free from violence, whether it emanates from public or private sources. Our right to be free from violence and an end to impunity for GBVAW – NOW! A strong message from the office of the President (Deadline 09 August 2018) that gender based violence against womxn, GBVAW, is pervasive and widespread and that it cannot be tolerated at any level of society. This includes a commitment never to appoint any individual who has been implicated or minimises the causes and consequences of GBVAW to cabinet or to lead a state institution. Further, a commitment to establish and drive a multi-stakeholder and comprehensive process to address and reduce GBVAW and a commitment to announce the dates of a national gender summit before 30 August 2018. A review of past national action plans to end GBVAW with a view to understanding why they failed. The Ministry of Women in the Presidency be seized with the convening of a national process to lead the review. The terms of reference must include the participation of all relevant stakeholders including, relevant government departments and civil society formations. The process must also identify the individual and institutional causes of the failure and make recommendations. (Deadline 30 September 2018).